As of Friday, April 29th, the long-term romance between Will and Kate becomes official Monarch History. The couple was officially titled by Queen Elizabeth the Duke and Duchess of Cambridge. A graceful and glamorous Kate Middleton and handsomely proud Prince William remained impressively composed, appearing to be in complete adoration of one another as millions of onlookers crowded the streets of London, and tuned in from across the pond to catch a glimpse of the Royal Wedding. A million people roared their approval as the royal couple then paraded through London in an open carriage. 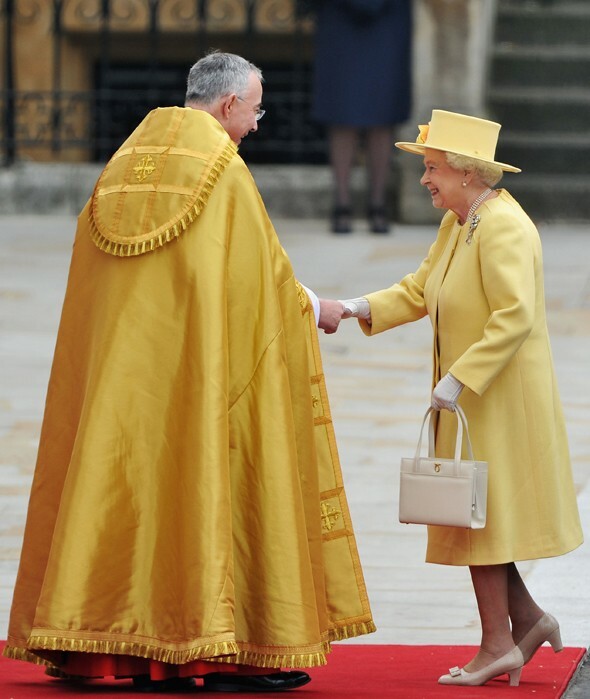 In a charming canary yellow ensemble, Queen Elizabeth exhibited her Royal Style on Friday. The Queen wore an Angela Kelly single crepe wool dress design with hand sewn beading. Pinned to her matching double crepe wool tailored primrose coat was Queen Mary’s True Lovers Knot diamond brooch. Her hat with silk roses — also designed by Angela Kelly — was a lovely addition to her outfit. Ladylike accessories like white gloves, pearl necklace and white handbag added a timeless elegance. The wedding of the century is quickly coming upon us and speculation about every aspect of the wedding is ratcheting up. Gossip rags and major newspapers alike are desperately trying to dig up any information about Prince William’s and Kate Middleton‘s upcoming nuptials. With an expected one billion or more viewers, it is no wonder the media is desperate for the slightest bit of information on the wedding. One question that everyone seems to be asking is wither or not the Queen will lend Kate a tiara from her royal collection. We all ready know that something new will be her wedding dress, something 0ld and blue will be Princess Diana‘s brilliant ring which features 18 ct. blue sapphire center stone surrounded by colorless diamond accents in platinum. What we don’t know is what her something borrowed will be. It is widely thought that the Queen will lend Kate one of her tiara’s which would be fitting since Princess Diana wore a tiara to her own wedding as well. Kate Middleton comes from a family of commoners, and like many of us does not have any royal jewels floating around in her family. If Queen Elizabeth II did lend her royal tiara to Kate it would signify that she approves of the marriage. This would make it an official proclamation that the Queen has no objections to their union and finally put to rest the many rumors that are swirling around the England Country-Side. The Queen has an extensive collection of tiaras in her royal collection, eight in total. One of the most beautiful is the Vladimir Tiara, which was smuggled out of Russia by a British diplomat in the 1917 revolution. This tiara features fifteen Cambridge emeralds, teardrop pearls and a stunning array of diamonds. Another beautiful tiara is the King George IV State Tiara. This incredible piece has 1,333 diamonds weighing a total 325.75 carats, and has 169 pearls along its base.Queen Elizabeth received the tiara from her mother on her 18th birthday. Her tiara, (Cartier), was made in 1936 and was purchased by The Duke of York (King George VI) for his Duchess (The Queen Mother) three weeks before he succeeded his brother as King. The significance of Kate Middleton wearing the Queen’s tiara on Friday is of great importance, symbolizing the emotional bond between the Queen and Princess Catherine. The tiara sat upon Kate’s whimsically styled half-up, half-down brunette locks, holding a veil of ivory silk tulle and a trim of hand-embroidered flowers. The beautifully blushing Bride wore an Alexander McQueen wedding gown designed by the British brand’s creative director Sarah Burton. One element of this historic wedding that the media outlets are buzzing over wildly is the jewelry worn by Kate Middleton on her and William’s Big Day. 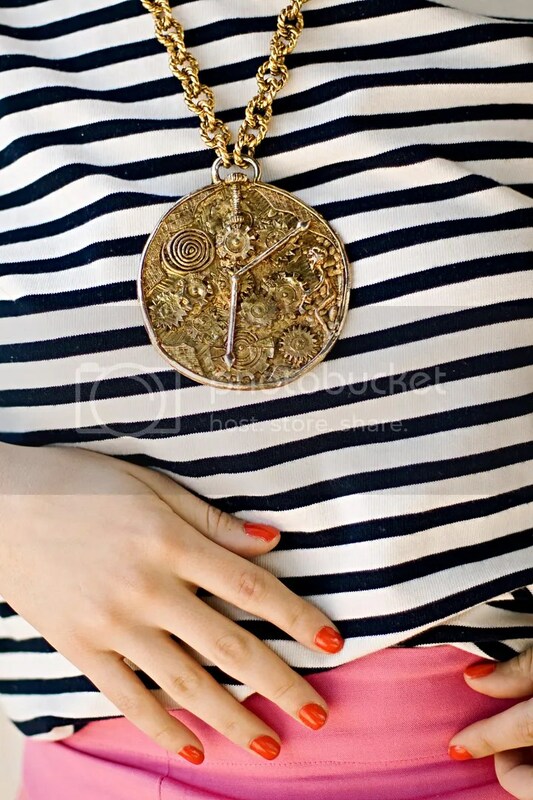 Rave reviews from fashion critics include the acknowledgement that the commoner exhibited stylish Royalty by blending together various time periods of jewelry in perfection. The pave-set acorn diamond centered earrings worn by Kate Middleton were a Wedding Gift for the new Bride from parents Carole and Michael Middleton. The Robinson Pelham designed pear-shaped earrings were inspired by her family’s new coat of arms, and one of the pieces that are receiving press praises. Best of Wishes to the Newlyweds! Alexandra at Raymond Lee Jewelers. This not-so-little statement piece feature arrives via the visionary fashion and jewelry combinations of Karla’s Closet. Karlas Closet . Chain Heavy. The unique, flirty and ultimately classic ensemble you see here is just one of the ‘all vintage clothing‘ creations of the vintage-inspired business venture, Karla’s Closet. A strictly vintage clothing store, Karla’s Closet items are all pre-worn. Amazing fashion ensembles created from combinations of the Karla’s Closet eclectic inventory can be found with detailed descriptions right here… on the Karla’s Closet Blog. This timepiece-inspired statement necklace by jewelry designer Erwin Pearl, circa 1970’s is (in my humble and personal opinion), the glue that holds this bodacious outfit together. Sometimes an outfit even as adorable and stylish as this one, with a great pink pencil skirt and amazing matching clutch and heels still needs that one illuminating piece of jewelry that ties every piece together in perfect stylish harmony. This 18K Yellow Gold, Diamond and Citrine Necklace and Enhancer Set is a newly listed item at the Raymond Lee Jewelers eBay Store at an amazing price of $9,995. Visit this Raymond Lee Jewelers eBay listing for additional images and information on this fantastic statement piece! Jewel bearings were introduced in 1702 by Nicolas Fatio (or Facio) de Duillier to reduce the friction in watches. 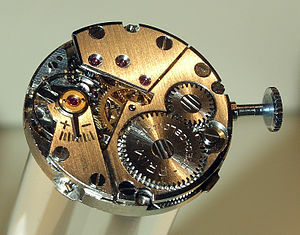 The two-part mechanism breakthrough in timepiece engineering includes a bearing, in which a metal spindle turns in a jewel lined pivot hole. The advantages of jewel bearings include high accuracy, small size and weight,low static friction and highly consistent dynamic friction. When the use of jewel bearings was first patented in 1702, only the most elite quality watchmakers used sapphire, ruby, or diamond jewel pivots. The majority of watchmakers would use garnet, quartz, or even glass jewels to create their jewel bearings, due to the high cost of natural ruby and sapphire gemstones. Jewel bearings for watches were ground from tiny pieces of natural gemstones from their introduction in 1702 until the early 20th Century. In the early 1900’s, a process to create synthetic rubies was discovered by Parisian Professor, Abraham-Louis Breguet . This process was invented in order to eliminate the high cost of natural gemstones by creating synthetic sapphires to be utilized in watch crystals. Nearly all modern-day watches use this synthetic ruby (or sapphire) in their watch jewel bearings. There is one constant element that you will find in each and every mechanical timepiece, from the earliest models to today’s modern designs. A complex integration of finely balanced moving parts are the fundamental foreground for all mechanical watches. This complex composition of mechanics involves the vital presence of a plain bearing. A watch bearing is a relationship, if you will, between pivot pieces and the torus shaped holes in which they are turned into. Pivot pieces turn into torus shaped holes, which are drilled into two brass plates that are separated by pillars. The lower situated brass plate of the two was once drilled with small holes in order to allow the opposite end of the pivot to turn. Small amounts of oil were used to lubricate the pivots within the torus shaped holes. Through the progression of time, an accumulation of debris and dust from daily use would slowly form within the small holes. A mixture of oils and debris would form into an abrasive material, acting asa sandpaper of sorts, slowly wearing away the soft brass of the plates, and eventually even the hard steel pivots. The once torus shaped pivot holes would morph into oval shapes as a result of this material accruing, directly causing erratic watch function and eventual failure. Frustrated with this difficult and seemingly unavoidable eventuality, Watchmakers began to search for a material that was harder than brass, and which could withstand the constant movement of the pivots. 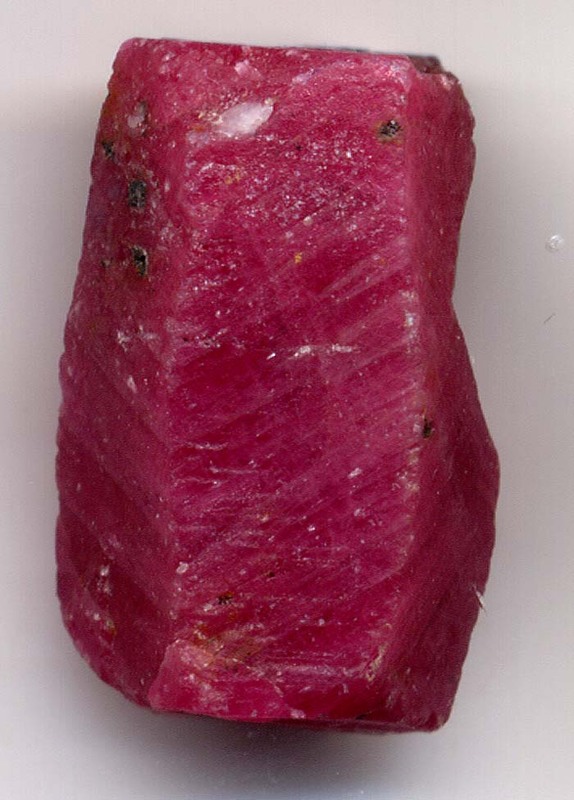 The winning material was found in the natural Ruby gemstone, the second hardest natural material on record in the world. Fatio de Duillier made his mark on the historical evolution of timepieces when he developed and patented a method of perforating jewels for use in clocks in the early 1700’s. With the goal in mind to optimize the capture of solar energy, Fatio suggested using a tracking mechanism which was capable of pivoting around the Sun. A well-known Swiss mathematician, Nicolas Fatio de Duillier was the first to discover the ruby’s potential as a jewel bearing. Fatio was previously known for his close friendship and collaborations with Isaac Newton, his extraordinary work on the zodiacal light problem, and for originating the “push” or “shadow” theory of gravitation. In collaboration with Pierre and Jacob Debaufre, Fatio de Duillier patented the use of jewels as wheel bearings in mechanical clocks in 1702. This would mark the beginning of many advancements in the development of timepiece precision that would utilize the knowledge of planetary alignment and universal positioning as a guide to advanced timepiece engineering. 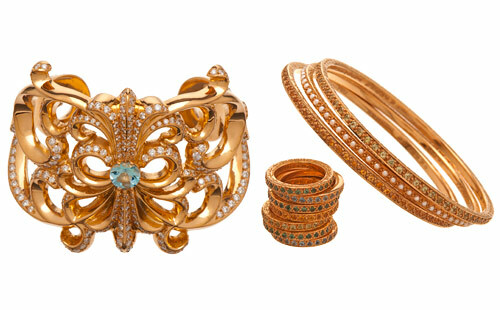 In 1902, Parisian Professor Auguste Victor Louis Verneuil created the first synthetic gemstone. A synthetic ruby. Verneuil perfected a flame-fusion method of producing crystals of ruby and other corundums within a short time period. This method became more industrialized over time; the basic components of rubies, alumina, undergoes purification, heating, fusion and crystallization, which results in a pear-shaped piece of artificial ruby. This pear-shaped ruby is then sliced into small pieces and these pieces are shipped off to watchmakers. The watchmakers then destroy 90% of the synthetic ruby to turn into a usable part for a watch. The high cost of certain modern-day mechanical watches are not due to the high price of natural rubies, as the wristwatches of the 18th and 19th Century. However, the labor intensive process of putting the synthetic rubies into the watch bearings is costly due to the time and labor invested to their proper placement in the jewel bearing. The use of jewels in timepieces remains strong and steadfast in the world of watches, as they serve two valuable purposes. The first is the reduced friction within the bearings. This directly increases the accuracy and precision of the timepiece. Jewel surfaces within watch bearings reduces variations in movement, increasing the life and maintained integrity of the bearings. So,today let’s give a silent thanks in recognition of the Ruby and Sapphire Gemstones… The intelligent natural gemstones you never knew were in your watch!